A few people had their luck in owning a Saab car. The company discontinued producing cars making the people who bought or own a Saab privileged. One of the problems a Saab car owner will be facing in the future is if the original key gets broken or lost. 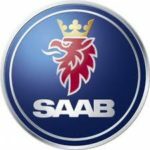 As the Saab company is not as active as other car companies in the present, getting a key duplicate will be a big hassle. In this case, you need a key replacement for you to be able to run your car again. The Saab 9-3 Viggen Convertible, Saab 9000 Hatchback, Saab 9000, Saab 900 Hatchback, and Saab Turbo x Sport Sedan are a few of the famous car models that we can offer a key replacement for. But we are not limited to replacing the keys of the models listed above. If you are owning a Saab car and want to have a key replacement service, you can contact us through e-mail or by phone. We will be happily answering your inquiries. We can talk more about your Saab car and the services that we can offer you. A spare key can be kept in your wallet. If you are travelling alone and in need to get out of your car without turning the engine off, you can easily lock and unlock your car with the Saab spare key. You will feel more secured of your car’s safety. If you have a child and they accidentally locked themselves in your car, saving them is a breeze with the use of your spare key. Losing things is unavoidable even though you give your hardest effort in keeping them. Having a Saab spare key hidden in your bedside table is always a good idea. Of course, you will need a locksmith company that can provide you quality and effective key spare services. Look no further for we are the perfect team for this type of job. Whether you have a vintage or a 20th century Saab car, its security of not being stolen is your utmost priority. Some thieves can easily unlock your car in seconds without attracting attention from anyone. Or you might have left your car key somewhere. Nobody wants their car to be stolen, right? It will take you lesser time getting in your car. This will be very helpful especially when you parked your car in a dark place. 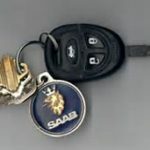 If your Saab key is in the same keychain with your other keys, it is a hassle to find it and stick it in your car. Though the odds are low, it is possible that when you are sticking in your Saab key to your car, it will fall in a canal or the sewers. Our company provides our clients peace of mind with our Saab key fob programming services. Our team of professional locksmiths is able and efficient in providing key fob programming for you anytime and anywhere. The Saab key fob programming will be a great update to your car’s security and safety. With this, not only you can easily get into your car but can sleep soundly at night knowing that your car is protected by our added security feature. gine. You cannot get to drive your car if this happens. But you do not have to worry for we can easily assist you in making and giving you a key replacement. So before any incident related to your car keys and Saab key fob programming, contact us to have your key replaced and duplicated. There are tons of locksmith companies out there but we offer the best services. We are the only one who can assure you that we give the best quality key replacement and spare key. Aside from that, we have the most advanced locksmith tools and and equipment. We aim to provide our customers the best quality key duplicates and replacements. Our team is known for being one of the friendliest and most accommodating locksmiths that you will encounter. Our hotline is open 24/7 and our staff will be serving you with a smile. You do not need to worry if you got locked outside of your Saab car in the wee hours of the night. If you live within the state of Texas, we are always ready to go on your exact location to assist you. Whether you are in your home or on the road, we will be there. When you make us a call it is best to provide us information about your car – the model, make, and year so we can bring the right tools to you. We also take proud of our broad knowledge of cars and can provide you right services you will need Our expert technicians take pride of their quality work in Saab key fob programming, Saab spare key, and key replacement. We value time as much as our clients do, so we assure you that our service will not take too much of your time. Feel free to contact us to know more of our services and we will be glad to assist you. We also make keys for the following Acura key replacement, Audi key replacement, Buick key replacement, Cadillac key replacement, Chevrolet key replacement, Chrysler key replacement, Dodge key replacement, Ford key replacement, GMC key replacement, Honda key replacement, Hummer key replacement, Hyundai key replacement, Infiniti key replacement, Isuzu key replacement, Jeep key replacement, Kia key replacement, Lexus key replacement, Lincoln key replacement, Mazda key replacement, Mercedes key replacement, Mini Cooper key replacement, Smart fortwo key replacement, Mercury key replacement, Mitsubishi key replacement, Nissan key replacement, Pontiac key replacement, Saab key replacement, Saturn key replacement, Subaru key replacement, Suzuki key replacement, Toyota key replacement. Copyrights 2019 Bobcat Locksmith. All Rights Reserved.